Fresh apricots deserve a little love, too. All apricots need is a little TLC to go from zero to hero. A simple summer dessert recipe from California, by way of Belgium. A late-summer dessert that's equal parts pie and crumble -- and all parts delicious. All week, Christopher Hirsheimer and Melissa Hamilton have been sharing recipes from Canal House Cooking, Volume 8: Pronto! Today, we're rounding them all up and giving away one last copy of the book. These drunken apricots will throw a party in your mouth. A template for your morning toast that relies on creamy ricotta and sweet, tart stewed fruit. Don't get druped into thinking that apricots aren't anything special. In place of a heart of gold, stone fruits have a hard pit. With a few easy tricks, remove that pit and start enjoying the summer's juiciest, most colorful fruits. 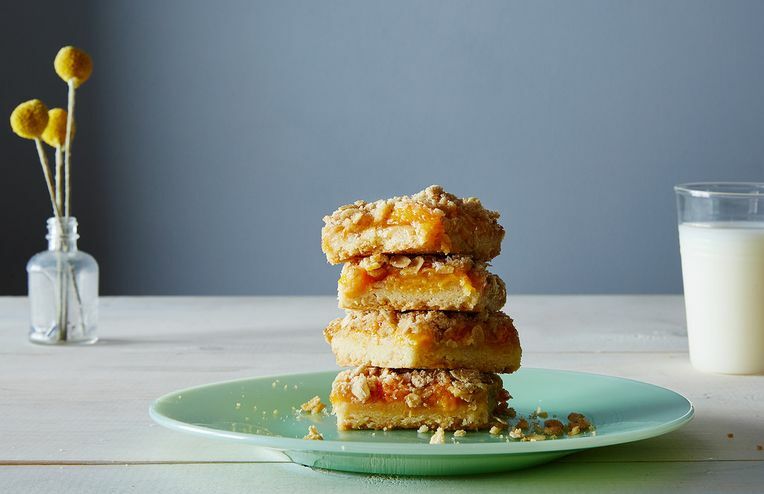 In the end, we all really want crumble for breakfast.